At CES 2019, the Lapscreen is being introduced with its paper-thin feature which includes a single cable that can be plugged into other devices. The Lapscreen or “the third evolution of mobile computing and paper of the future” has a 12.5 inch Full HD display with a resolution of 1920 x 1080p. The monitor has an HDMI signal in, Type C signal in, Type C audio in and out, and Type C power in and out. The USB-C monitor has a measure of 4mm on the top and 8mm on the bottom, and weight of 200 up to 400 grams. The portable monitor has a WiFi connection, cables including Type C, MHL, HDMI, and adapters such as VGA, DVI, DP, miniDP, Holder for single and multiple use, and cases for transport and outdoor. 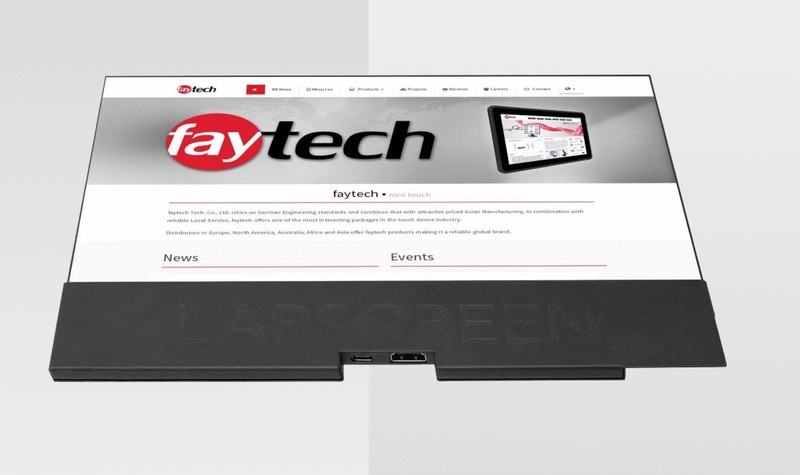 The Lapscreen is now exclusively available from its distributor FayTech with a starting price of $200.00.